Fairhope Woodworks offers 1" x 6" and 1" x 4" tongue and groove #2 pine flooring which is the best material for high quality pine with a knotty look. Knots will be tight, meaning they won't fall out. These boards will vary in length but mainly are 5'. If longer lengths are desired we can mill up to 10' long at no additional cost. The actual dimensions of the boards for a 1" x 6" is 3/4" by 5 1/2" and 1" x 4" is 3/4" by3 1/2". 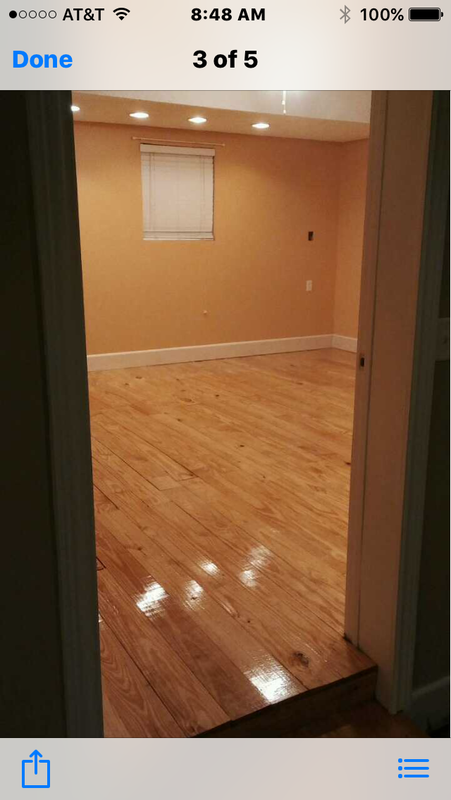 Once southern yellow pine flooring is received on a job site, the material must be acclimated before installation. Acclimating a yellow pine floor allows time for the wood to adjust itself to a moisture balancing point to help any future shrinking and swelling of the product. Ideally, all yellow pine flooring should be stacked and sorted in each room where the flooring is going to be installed 5 to 14 days prior to installation depending on the local humidity and weather conditions. • The building is fully enclosed; all windows and exterior doors are installed. • The proper sub floor nailing base is installed. • The heating and cooling system is operational. A suitable moisture barrier and sub floor nailing based must be installed to provide adequate protection and support for the flooring. 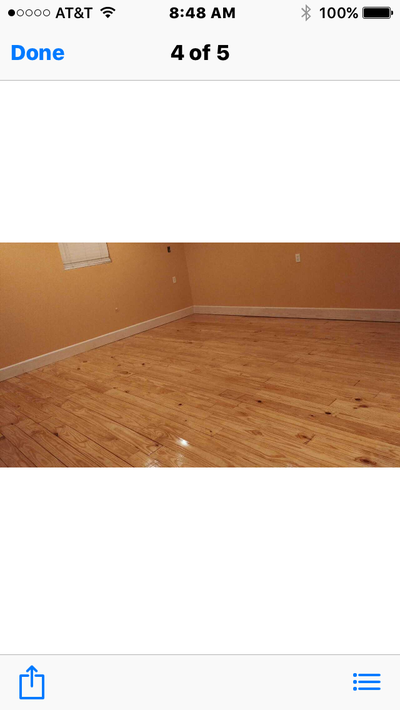 Two types of moisture barrier material are recommended beneath a Southern Yellow Pine Flooring. • Polyethylene: A 6-mil thickness is preferred; a 4-mil thickness is considered acceptable. A perm rating below 1.0 for polyethylene is required to retard moisture. • Roofing Felt Paper: Two layers of 15 lbs. paper, or one layer of 30 lbs. paper. 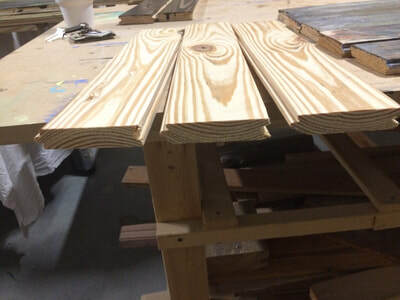 If installing Southern Yellow Pine Flooring over Concrete, additional steps, such as the installation of a vapor barrier, must be taken to ensure a proper installation. After all construction debris has been removed and all nail heads have been countersunk, it is recommended to perform a finish sanding of the floor before you apply a stain or sealer. All sanding should be done in the same direction as the flooring strips, never across. As with every unfinished interior wood flooring, applying a quality finish to all exposed surfaces is recommended. A floor finish protects the wood from moisture absorption and UV degradation. The finish selected will affect how often the floor needs cleaning and extra maintenance. A lighter floor will hide dust better, although dirt, spills, and grit may remain more visible leading to more frequent sweeping. Darker colors of floor finishes tend to conceal scratches and visible damages and tend to be more forgiving than lighter colors. Since dark colors absorb light rather than reflect it, a dark floor color may make a room appear smaller than lighter colors. • Use door mats at entryways. Do not use cocoa fiber or rubber-backed mats. • Use area rugs in high-traffic lanes. • Use floor protectors beneath furniture. • Sweeping regularly prevents scratching from dirt and grit. • Avoid using water on wood floors. 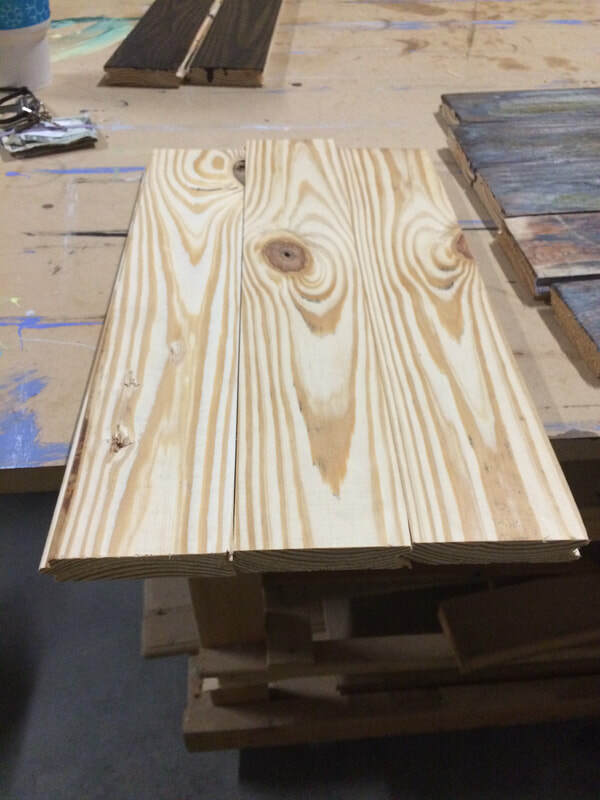 Water causes wood to expand. • Direct sunlight can discolor wood. Use draperies or blinds to shield the floor from direct sunlight.